The front and back pieces of my new leather bodice. This is a new bodice I’m working on for next faire season. It started life as a black leather skirt I snagged off ebay for about $25. The pattern is one I purchased many many years ago and made precisely once. It’s a completely different style than I typically make–more a corset-style bodice with straps cut separately. Although with this one, I’m eliminating the straps because the structure of the bodice, which will include steel boning and closely spaced eyelets, will be sufficient to support itself without needing straps to hold it up. 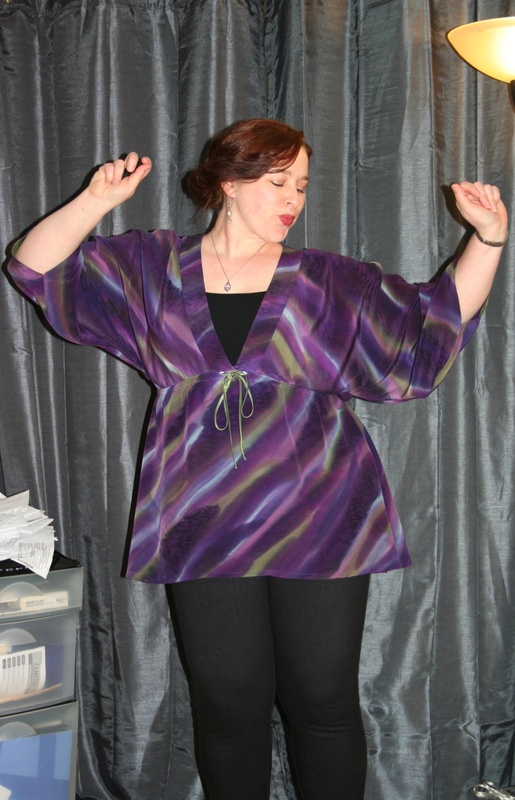 Fantasy Fashions' Renaissance Maiden pattern. 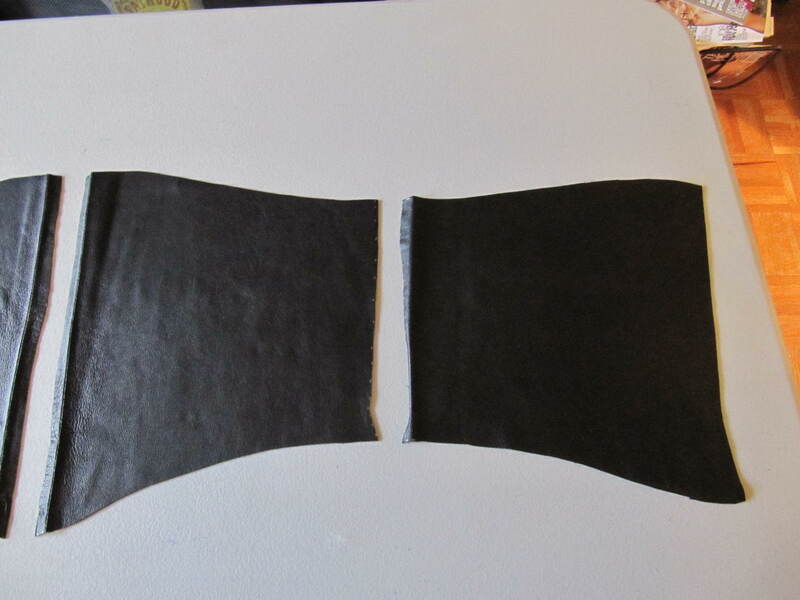 The pattern actually is all one piece, as you can see from the photo of the lining piece, but because the leather skirt was pieced in smaller sections, I cut the pattern at the side dart for the outer leather and added about 3/8 inch for a seam allowance. I cut along the line of the dart, so the shaping will be retained at the side when sewn. 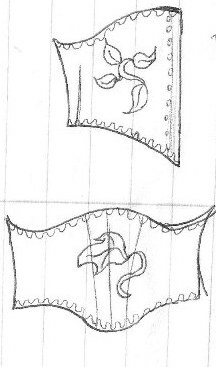 It will have a corset coutil interlining and lining. The lining piece. 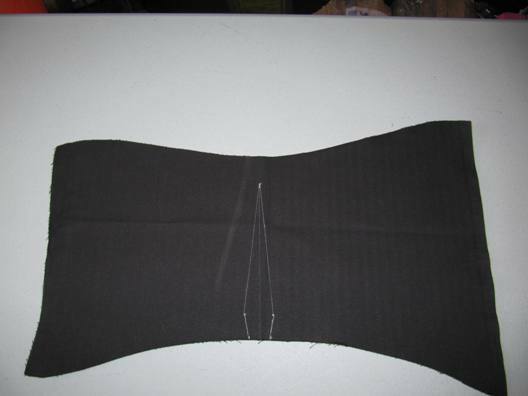 The bodice/corset pattern is all one piece with a side dart. I’ve found this style very comfortable in the past, and I’m really looking forward to wearing this one when complete. 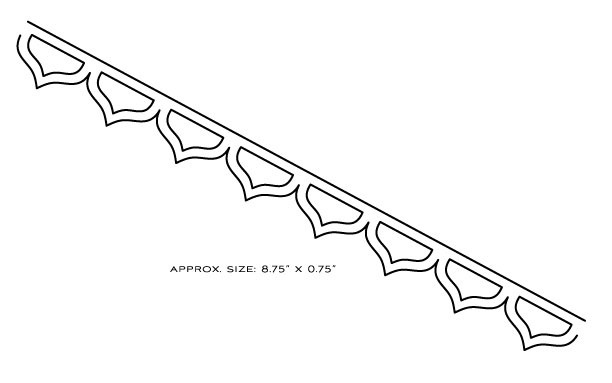 An idea sketch of the trim and applique, which will be executed in lavender suede. So, as I’ve mentioned before, I started sewing because I love to play dress up and go to the local Renaissance Faire (in Crownsville, Md., if you must know) every fall. I have purchased a few pieces of costume for my faire going, but the vast majority of my outfits I’ve made all on my own with varying degrees of skill and success. I’ve gotten better the more I’ve completed, of course. None of my costumes to date are very fancy—it’s still really hot and humid in the early/mid-fall in the DC area, and fancy costumes would not only be sweltering to wear, but they’d get ruined fairly quickly. But I take great pride in making my own, have received many compliments on various bodices I’ve made, and I really like the fact that I can create my own style, choose my own colors and materials, etc., rather than just selecting from the commercially available Ren-wench wear. 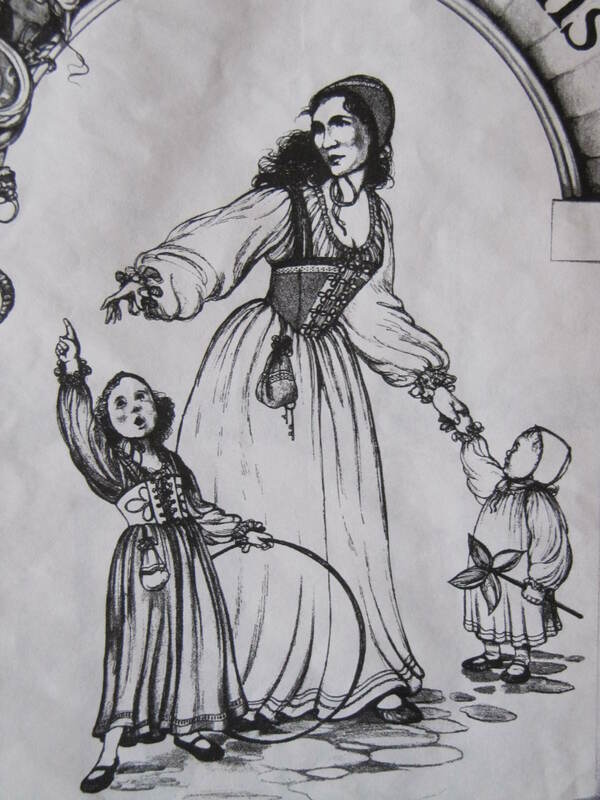 I do have plans to make—someday—a few fancier gowns, suitable for court wear. More on that later! Anyway, back in college I started making my own wenchy costumes to wear to the faire. I have no photos of these costumes, for the most part. I’ll try and scrounge up the few I have and post them here. My first one was an ivory bridal satin bodice that buttoned down the front. The Emma Thompson/Kenneth Brannagh movie version of Much Ado About Nothing really had a hold on me back then, and I so wanted to reproduce the Mediterranean pastoral feeling of the film with an all-white renaissance outfit, such as the main female characters wore. The satin bodice was kind of a disaster, though. I used a pattern purchased from who-knows-where at this point, and didn’t have a very good grasp of how it would fit, or even how it should fit. But as such, it was a very valuable learning experience and I put the lessons learned then to good use on my next attempt—and the lessons learned from that one went into the following costume, and so on and so on! Eventually I got the process down and managed to make wearable costumes that I felt comfortable in and that expressed my personality. It’s so much fun playing dress up, pretending to live in another era for just a day. And pretty pretty dresses! If I can find some of those photos of my older costumes, I’ll add them to this post. **Update: Found some pictures of my old costumes!